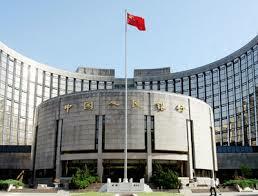 BEIJING (AP) – China’s Central Bank said Sunday that it will cut its bank reserve requirement ratio by 1 percentage point to stimulate more lending into a slowing economy. The new reserve requirement will take effect Monday, the bank said in a statement. The move allows banks to hold onto less of their money and lend more of it out. The Communist Party-run People’s Daily said the cut will release 1.2 trillion yuan, or about $194 billion, into the world’s second-biggest economy. The Central Bank also said it will cut an extra 1 percentage point for commercial banks providing agricultural financing and an extra 2 percentage points for the Agricultural Development Bank of China. It will also cut the requirement by an additional half a percentage point to eligible banks that lend a certain share of loans to agricultural borrowers and small businesses. The Central Bank last cut its reserve requirement in February, when it slashed the rate to 19.5 percent for big banks and 16 percent for small- and medium-sized banks. Official data showed last week that China’s economy grew by 7 percent in the first quarter of the year, the lowest level since the financial crisis of 2009.